THE ONLY BOOK. THAT CAN MAKE YOU A PROJECT MANAGER. Send My Project Manager Book! 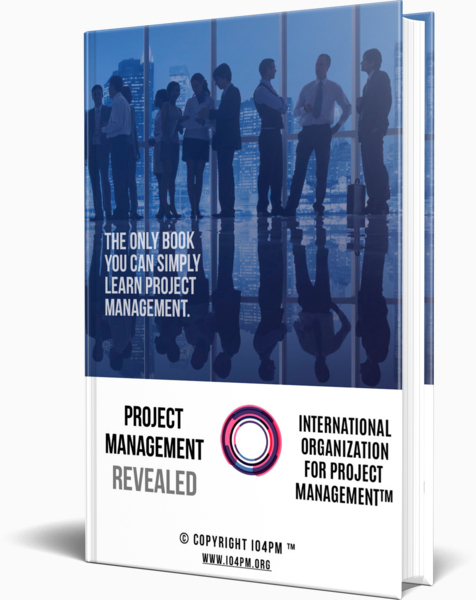 YOUR PROJECT MANAGEMENT REVEALED 2ND EDITION IS NOW READY. Your Project Management Training Program prepared by our consortium of renowned Business and People Leaders, Project Management Coaches, Mentors, Experts and Authorities from all major Industries are available to all visitors of IO4PM International Organization for Project Management’s web site. Your Online Project Management Training Materials are accessible under Your Free Project Management Book and Your Free Premium Project Management Training items from the top menu. Although this Online Project Management Training Program is the copyrighted intellectual property of IO4PM International Organization for Project Management, we wanted to make these materials freely accessible for everybody. We believe that only by sharing our expertise we can best serve for Project Management Professionals and for the further development of Project Management Domain. Your Project Management Certification examination comprises multiple-choice Test Questions. Reading your Online Project Management Training Program will be very helpful for Project Management Professionals like you to acquire the knowhow to pass your Project Management Certification Examination and to get your Project Management Certification. We guarantee that Your Free of Charge Premium Online Training will make you pass Your Project Management Certification Exam! My name is Jenny Evans. I am the chief operations lead here at IO4PM - International Organization for Project Management. It is my duty and pleasure to make sure that we serve you as best as we can on your continuous Project Management, Program Management, Product Management, Service Management, Project Quality Management and Business Analysis learning and execution journey. IO4PM - International Organization for Project Management make it possible to get high quality certifications everywhere around the world. Our differentiating power and momentum come from our massive community supported by a large group of academicians, executives and organisations. Unlike other providers in Project and Program Management education industry, our goal is not only to serve a selected elite group. We provide our services in accessible and inclusive manners, so we can solve everyone’s problems in Project and Program Management. Everyone who believes knowhow and competence are our only remaining securities. Today and in the future. Every single day I receive success stories from our students who found new jobs or secured promotions. Beside their focus and willingness to succeed, these women and men demonstrate confidence with Project and Program Management skills and knowhow we have been helping them to learn. So they can get great results from their job interviews, build outstanding solutions and serve their leadership skills in their professional roles. Join 1M+ Professionals in IO4PM Community. Get info packs, practical tactics, exciting surprises and more, so you can GROW further in your CAREER. By providing outstanding Project and Program Management services relevant to your employers and clients. And yes, there are no shortcuts for success with Project and Program Management! :) But there are techniques which make the process fun and efficient.. We will talk about them a lot. For now stay tuned! As you have (patiently) read me until this point, you have already proved to me that you are awesome! To say thanks for your interest so far, I will free of charge send you your Project and Program Management book which has a retail value of more than USD 50. Make sure you check it out. I hope you will like your Project and Program Management book and we can manage to help you out to learn a thing or two. Your Project Management Certifications Made Hundreds of Thousands of People Successful! IO4PM International Organization for Project Management is an independent Institute which helps Organizations and Professionals get accredited with worldwide renowned and recognized Project Management Certifications and prove their competence in Project Management domain. As of March 2018 IO4PM International Organization for Project Management has served you in 143 Countries more than 623'000 Project Manager Accredited Certification, Program Manager Accredited Certification, Product Manager Accredited Certification, Service Manager Accredited Certification, Project Quality Manager Accredited Certification, Business Analyst (Project Requirements Analyst) Accredited Certification, Project Manager Trainer Accredited Certification and Project Manager Coach Accredited Certification Programs. We empower Project Management Professionals worldwide to build their Careers, and Companies to sell their Outstanding Products and Services. Register Online for your Project Management Certification Program. Get your Lifetime and Worldwide valid Project Management Certification instantly after you finish your Exam. Your free-of-charge premium online training material located under Your Free Project Management Book and Your Free Premium Project Management Training items from the top menu have been designed to cover all fundamental aspects of Project Management framework and methodologies. 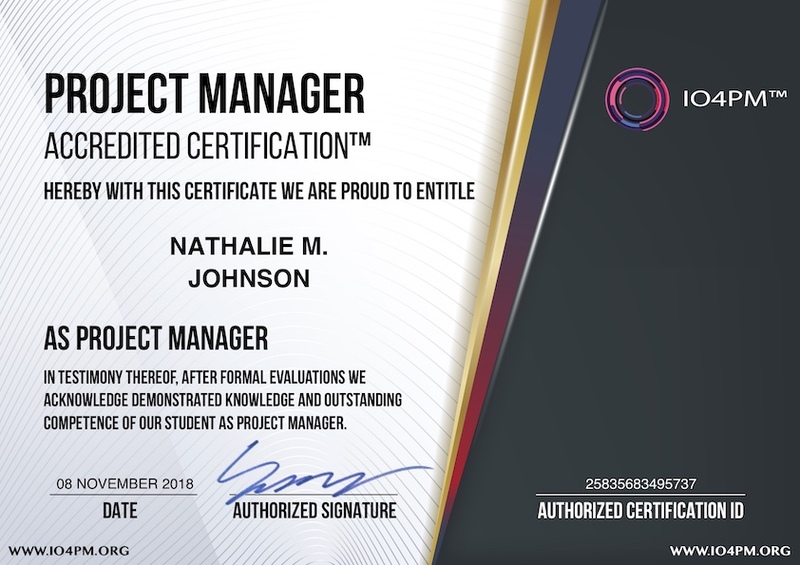 After you read through your Project Management training content, you can feel absolutely confident to achieve your examinations of your Project Management Certifications. Success rate is more than 99%. Project Management makes you Powerful! 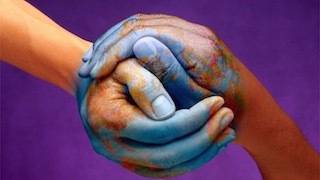 Today's Professionals all over the world are passionate about Project Management. However, Project Management is not another hype which will soon fade away. Project Management is a set of Methodologies and Processes to develop great Products and Services that your Customers love! Project Management is the Science and Art of delivering Products and Services to customers with utmost possible Quality and Productivity, with minimal interruption in Business Processes and Services. Project Management aims to meet and exceed Customer Requirements while increasing Business Profit and minimizing Wasted Resources. Project Management achieves these challenging objectives by deploying a structured Delivery Process and a data-driven Organizational Excellence Culture. What makes Your Project Management Certifications Best of the Industry? IO4PM International Organization for Project Management made Project Management Trainings and Project Management Certifications accessible for the whole world including developed and developing countries. We solved your problem in Project Management Education by serving your Innovative, Economical and fully Online Project Management Certification Programs. We have been asked thousands of times why your Project Management Certification Programs are starting from only USD 49 despite of our popularity, authority and credibility across the globe. The answer is very simple: USD 49 is more than or equivalent to a daily wage in ¾ of all countries in the world. We can only help the world and achieve our purpose because we serve your programs affordable for everybody including you and everyone else. More than 623'000 people became certified with our Project Management Certification Programs. Worldwide Credibility and Acceptance of Accredited Project Management Certifications issued by IO4PM International Organization for Project Management. Certification Programs have been developed by a consortium of Selected Project Management Teams, Project Management Practitioners, Experts and Authorities. International Recognition from all industries and from all leading organisations which embrace modern and advanced Project Management Practices. IO4PM International Organization for Project Management built for you very personalised programs which match to your career goals and ambitions. We are your partner to help you develop your new skills and credentials. No queues, no schedules, no appointments. This is just a clever solution for you. Rapid and Online Accredited Project Management Certification Programs. Take your Online Project Management Certification Test Exam from your own PC anywhere and anytime you would love to. Simple, quick and powerful, isn't it? Just we all need in our busy lives. No mandatory classroom trainings. Project Management Professionals were obliged to attend expensive classroom trainings as an indispensable part of other certification programs. However, IO4PM International Organization for Project Management doesn't only value the knowhow gained from classroom trainings, but also we value the knowhow gained from reading and self-study or from any other medium and experience. Therefore, we do NOT mandatorily require our members to get classroom trainings before they can get certified in Project Management. IO4PM International Organization for Project Management is the largest and fastest growing Project Management Community with over 623'000 Project Manager Accredited Certification, Program Manager Accredited Certification, Product Manager Accredited Certification, Service Manager Accredited Certification, Project Quality Manager Accredited Certification, Business Analyst (Project Requirements Analyst) Accredited Certification, Project Manager Trainer Accredited Certification and Project Manager Coach Accredited Certification Owners. To support you and your Project Management community we are committed and passionate about sharing unique content, expert tips, real life recommendations in interesting Project Management and Program Management subjects which matter for the Project Management community. Your Project Management Certifications are Valid for Lifetime and they are Worldwide Recognized. No renewal fees, no redundant subscriptions which don't serve you. Certificates issued by other certification programs are only valid for a few years or even less because they treat certification renewal process as an easy way to generate income. We believe that no fundamental changes are happening in the very core of Project Management which deserves continuous examinations to revalidate proficiency in Project Management. Project Management and Program Management techniques offer endless possibilities how companies tailor or merge them with other project, process and development frameworks for their particular needs and environments. This shouldn't be perceived as an evolution of Project Management itself. High Quality and Premium Online Project Management Certification Experience for World's most reasonable and economical Project Management Certification prices. Moreover, we provide your free of charge premium online Project Management training on your web portal. Reading your Online Project Management Training Program will be very helpful for Project Management Professionals like you to acquire the knowhow to pass your Project Management Certification Examinations and to get your Accredited Project Management Certifications. We know you love Project Management. We too… We also love what we do which is to unconditionally serve you and your Project Management Community. We have been numerous times credited by your Project Management Community that every online or personal interaction performed with IO4PM International Organization for Project Management, People felt our passion and loyalty to make every interaction perfect, and our unique commitment to make an outstanding Project Management Certification Experience for you. We do everything in our power and 365 days a year to serve the best Project Management Certification Experience in the world and for the world! And everyday we go extra mile to make it even better. Your Project Management Certifications are Socially Proven! Leading Organizations trust in Project Management Certifications from IO4PM International Organization for Project Management. 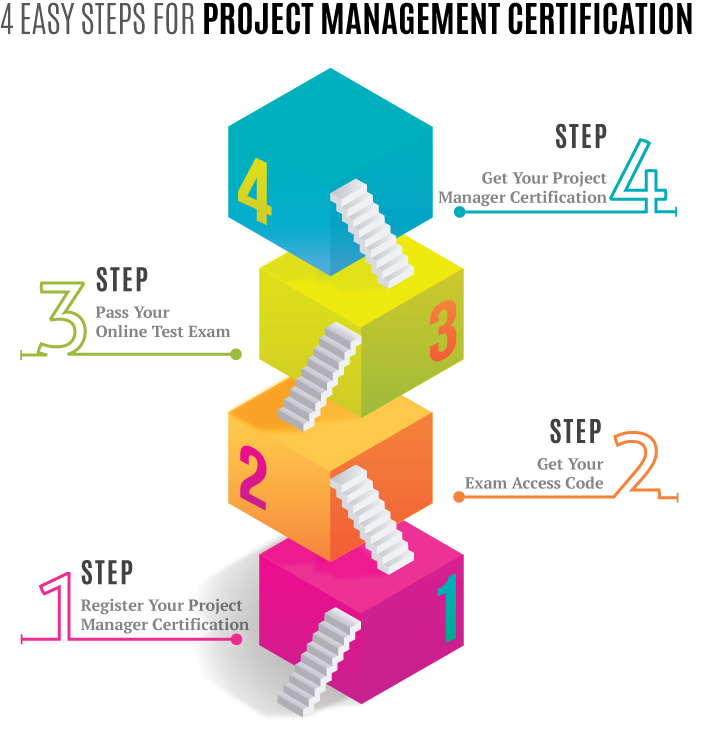 You have a great web portal and completing your certification programs is really quick and without hassle. The training material is great, registration is easy and the test is very thought provoking. I needed to get up and running quickly on Project Management and the online training and testing came very useful. I received all six certifications in one day, and I learned a lot. First of all I want to thank for your site that I learnt quite a lot. I think, your content is very complete and gave us enough support to comprehend Project, Program and Product Management Methodologies. Nowadays I am establishing Project Management Processes for my team, and thanks to your training program I quickly realized where I am doing good, where I can further improve. Your program contributed huge benefit to my knowhow and experience. It has been a pleasure working with IO4PM™ - International Organization for Project Management. They supported us to rapidly and cost-efficiently develop and certify our Project Management knowhow. Thanks for such a great online Certification Program at a reasonable price! It wasn't easy to find a tailored Program Manager Certification Program which lets me prove my professional experience and personal education in Program Management era. I wish I had found your project management certification degrees earlier! Your free training content is extremely well organised and it helped me a lot pass my APRM (Accredited Project Management) and APGM (Accredited Program Management) Certification exams. Plus your reasonable certification costs encouraged me to achieve these certifications (APRM, APGM, Scrum Master, Six Sigma Master Black Belt) in my first attempts without any fear. You are the best! And thanks for your outstanding student support team! Are you joining Your Free Events to network and socialize with Your Project Management Community? How to make your Project Management Office Quality and Business Value-driven. Gathering of IO4PM™ Accredited Project Managers and Program Managers. How to validate potential Performance Improvements in Project Management without spending valuable Resources. Case Studies and Leading Practice Examples of Project Management Discipline to C-Level Execs. Understand change and conflict in Project Management, the Reality about Risks and Confidence of our Decisions. 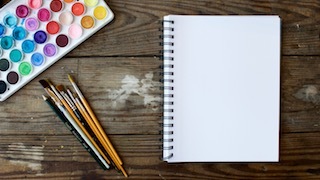 How to embrace and cultivate Project Management Culture in your Organization.